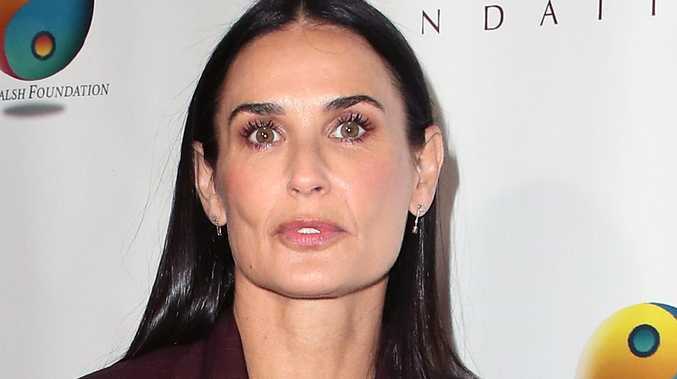 DEMI Moore has opened up about her recovery after going on a downward, self-destructive path early in her career. Speaking at Peggy Albrecht Friendly House's 29th Annual Awards Luncheon, Moore recalled how she "never felt good enough" despite the success she gained, People reported. "I feel like there are defining moments in our lives that shape who we are and the direction we go, and early in my career, I was spiralling down a path of real self-destruction, and no matter what successes I had, I just never felt good enough," Moore said during her acceptance speech for the Woman of the Year award. "I had absolutely no value for myself. And this self-destructive path, it very quickly brought me to a real crisis point." The 55-year-old actress said two people whom she "barely knew" intervened and presented her an "opportunity." "In fact, it was more like an ultimatum … unless I was dead, that I better show up," she said. "They gave me a chance to redirect the course of my life before I destroyed everything. Clearly, they saw more of me than I saw of myself. And I'm so grateful because without that opportunity, without their belief in me, I wouldn't be standing here today." Moore recalled reaching out to a "wise teacher" and talking about her fear of never being good enough. "And she said, 'You will never be good enough but you can know the value of your worth. Put down the measuring stick.' So today, I put down the measuring stick and I thank you for this beautiful acknowledgment and the opportunity to know the value of my worth," Moore said in her speech. Moore went to rehab in the mid-1980s for drug and alcohol addiction and was hospitalised in January 2012 after collapsing in her Los Angeles home, People reported. She later sought treatment for exhaustion and to "improve her overall health."